I'm Dr. Michael Cushman and Welcome to our website. 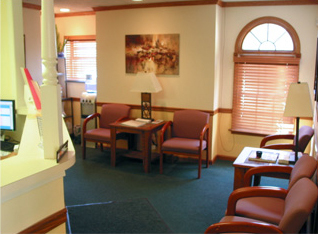 Our office, located in the Oakland section of Pittsburgh keeps patients from all over the area smiling. At our Smile Studio we create beautiful smiles using the amazing advances in Cosmetic Dentistry and Deep Bleaching. Our office offers Cleanings, Bonding (white fillings), Porcelain Veneers, Crowns, Smile Makeovers, TMJ (TMD) and of course Emergency Dental Treatment. Stop in and have your teeth expertly cleaned and examined. We offer Fillings, Crowns, Bridges and Non-surgical gum treatment. Let us help you keep your teeth for a Lifetime. Teeth Bleaching is now easily available in many different forms. One of the comprehensive treatments we provide is called Deep Bleaching. We often compliment this process with Porcelain Veneers for a gorgeous smile. Are you one of many who suffer from chronic jaw pain or jaws that lock? Contact us and we will provide a diagnosis to determine if an oral orthotic can get your life back to normal. Are you currently experiencing tooth pain? Have you accidentally broken or chipped a tooth? Call us NOW to schedule an immediate appointment. Ok it’s just this simple! Our Patient Registration forms can be easily downloaded for your convenience. Any Questions regarding insurance, please phone our office at 412-682-6700.